Mozilla will offer an Extended Support Release (ESR) based on a regular release of Firefox for desktop for use by organizations including schools, universities, businesses and others who need extended support for mass deployments. What does the Mozilla Firefox ESR life cycle look like? Releases will be maintained for more than a year, with point releases containing security updates coinciding with regular Firefox releases. The ESR will also have a two cycles (12 week) overlap between the time of a new release and the end-of-life of the previous release to permit testing and certification prior to deploying a new version. Mozilla relies on Firefox ESR users to provide feedback for the new ESR releases. During the first two cycles, please report any bugs about web compatibility regressions, stability issues, and so on. Maintenance of each ESR, through point releases, is limited to high-risk/high-impact security vulnerabilities and in rare cases may also include off-schedule releases that address live security vulnerabilities. Backports of any functional enhancements and/or stability fixes are not in scope. Who should use Mozilla Firefox ESR? 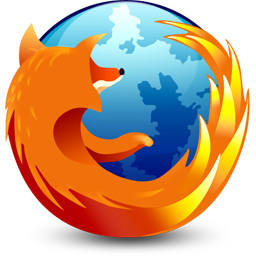 Mozilla Firefox ESR is meant for organizations that manage their client desktops, including schools, businesses and other institutions that want to offer Firefox. Users who want to get the latest features, performance enhancements and technologies in their browsing experience should download Firefox for personal use, as these improvements will only be available to ESR users several development cycles after being made available in Firefox for desktop. If you’re using Firefox for personal use, you can download Firefox from mozilla.org/firefox. In some cases, ESR is proposed to regular users for unsupported architectures transition. For example, when Windows XP support ended for the release, Firefox ESR has been recommended for these users. Is there any difference between Firefox and Firefox ESR? Firefox and Firefox ESR are extremely similar. Rarely, some features are disabled in ESR for different reasons like stability issues, potential changes in the specifications, etc. Any differences between the regular release and ESR are documented in the release notes of the first ESR release of the cycle.